With the passing of Samhain, most of the leaves here in Michigan are now off the trees. As I bike through my neighborhood or visit surrounding communities, I am always amazed to see people bagging up all of those leaves in the brown “compost” bags and leave them by the side of the road or (worse) burning them in the backyard. Hold on for a minute! What my illustrious neighbors bagging the leaves up and leaving them for the waste disposal company may not realize is that those same leaves, yard trimmings, and other waste are sold right back to them in the spring time when they want a little compost or rich hummus for their garden. Unfortunately, this process is damaging on the environment because: A) fossil fuels are used to transport the leaves to and from their destination; high-powered composting facilities often use additional fossil fuels to automatically turn and process leaves; and finally, they have to be packaged back up and sold to the end consumer–sometimes across counties or states. 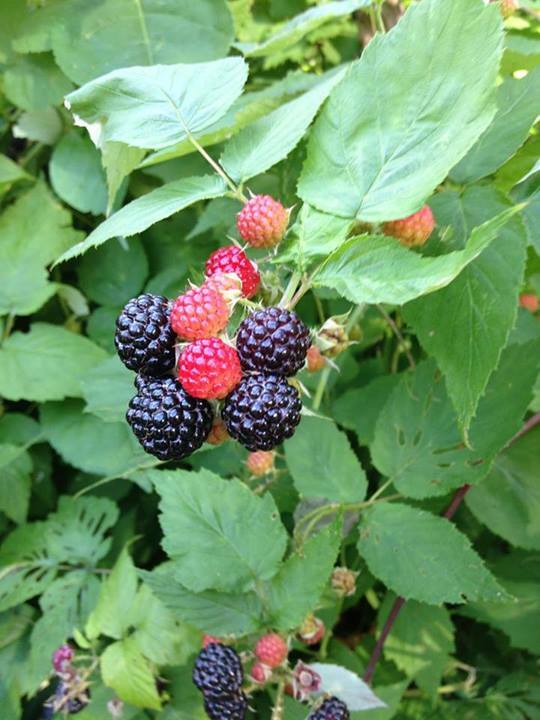 Another serious benefit is that the nutrients of the leaves–nutrients that would leech back into the soil if the leaves were left on the ground to decompose naturally–continue to be removed each year as the leaves are put on the curb. This loss of nutrients in the soil eventually causes most to go out and buy petrochemical fertilizers (which contribute to substantial water pollution). Burning those little leaves is even worse, however! Leaf burning destroys many valuable nutrients (although some nutrients are retained in the ash, to be fair), substantially contributes to air pollution, and can cause trouble for health of asthmatics and others. Not to mention the risk of fires spreading out of control. Alternatives exist to bagging and/or burning leaves! Leaves are a precious and valuable resource, and can be used in a multitude of ways in your own gardening practice: as a lawn mulch, compost, as a soil enricher, and as a garden mulch. 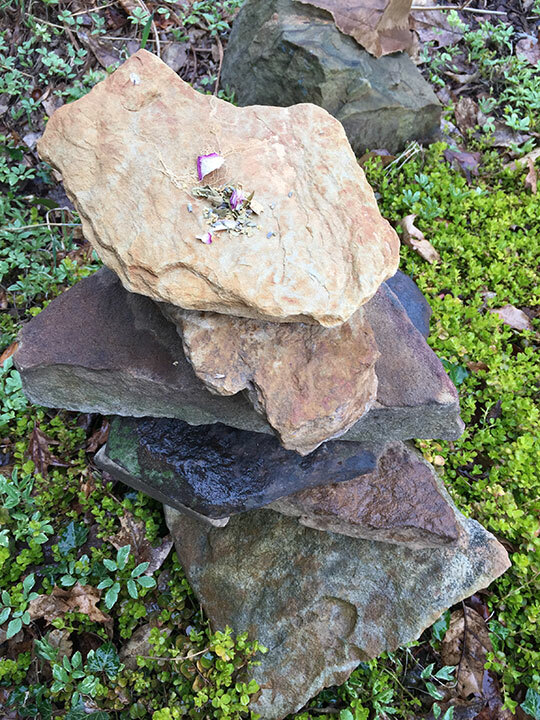 This year, I’ve used leaves in several ways to enhance my druidic gardening practice. Directly in the Garden Beds. 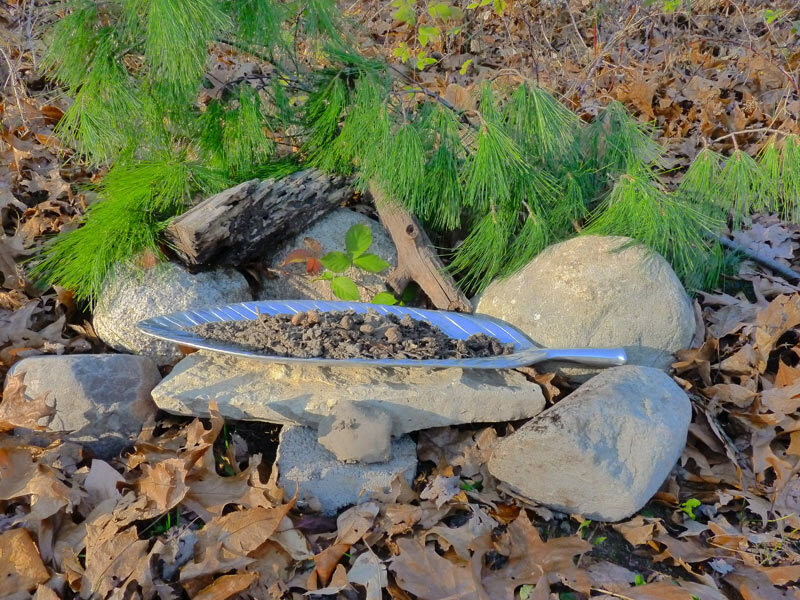 First, I used leaves as a basic ingredient of my “raised bed sheet mulching” approach (which I haven’t yet written on but plan on writing on soon). Leaves were added right to the bed in the fall and will compose over the winter, adding much needed nutrients and humus to my sandy soil. Leaf Composting. I also built myself a simple leaf composter out of some rusty wire fencing I found in the weeds on the side of the property. I created a sphere with the wire and weighted the bottom down with some rocks. Next, I layered about 6 inches of leaves with an inch of soil and/or manure and as I layered it, I wet the whole thing down. If you layer it in this fashion, the leaves are less likely to mat. If you wet it down, composting will happen much faster! I have read that you can also use sacks for leaf composting or even build your own large bin. The key is to make sure that your leaves don’t blow away before they are composted. Now that I’ve done this work, I will wait and see what happens in the spring–and how far along my leaves have composted. 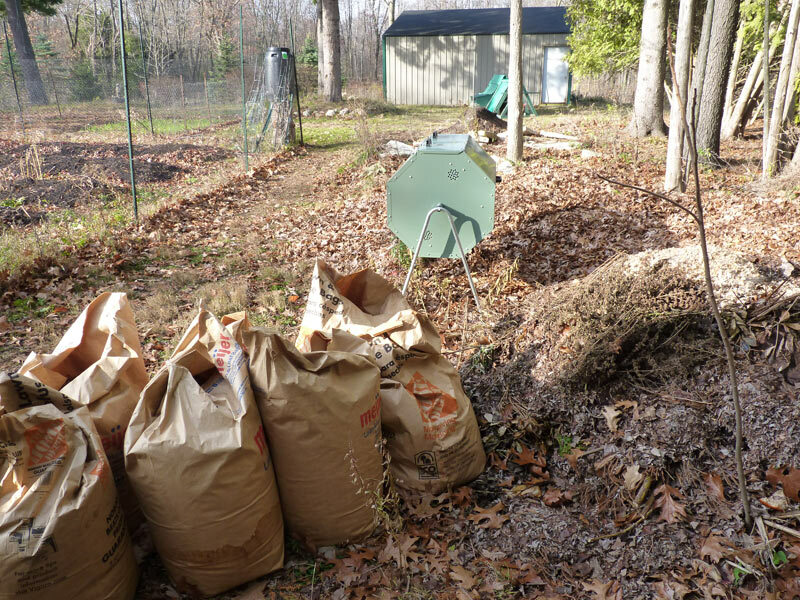 Leaf composting is super-easy, and you can use the composted leaves as an excellent soil conditioner or garden mulch. Mulching. One of the most important lessons that I have learned in my short time on this property is that mulch is your friend. I planted a number of trees and heavily mulched them–and was amazed to find that even after a week or more of dry weather, when I stuck my hand into the mulch, the roots were still damp. 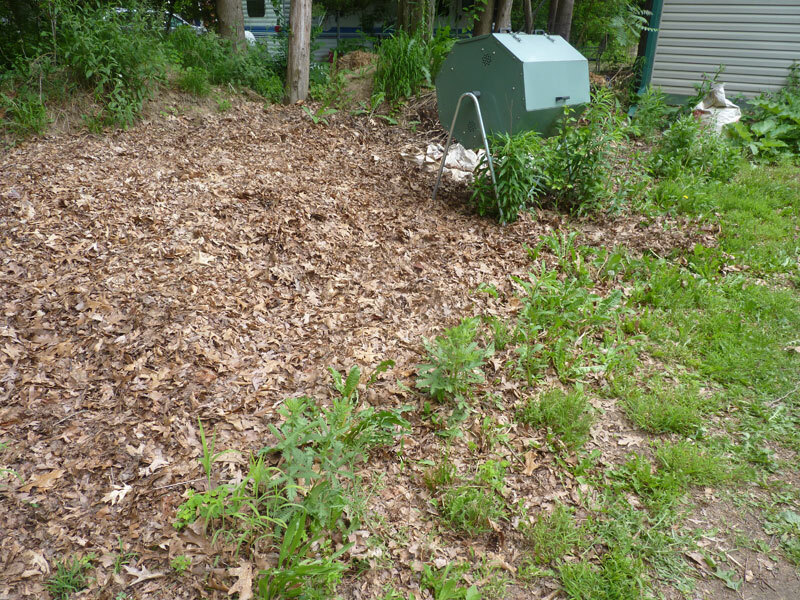 If you want to use leaves as mulch, you can compost them partially (to avoid matting, again) and then spread them thickly on whatever it is you want to mulch. The leaves will eventually decompose and will release their nutrients into the soil. In this way, you are mimicking the forest’s natural cycle of falling leaves eventually turning into fertile soil (we speed this up a bit with composting). Do be aware that certain leaves may change the PH level of your soil. Pine needles and oak leaves are particularly acidic (but this makes them incredibly useful for say, blueberries or paw paw trees!). 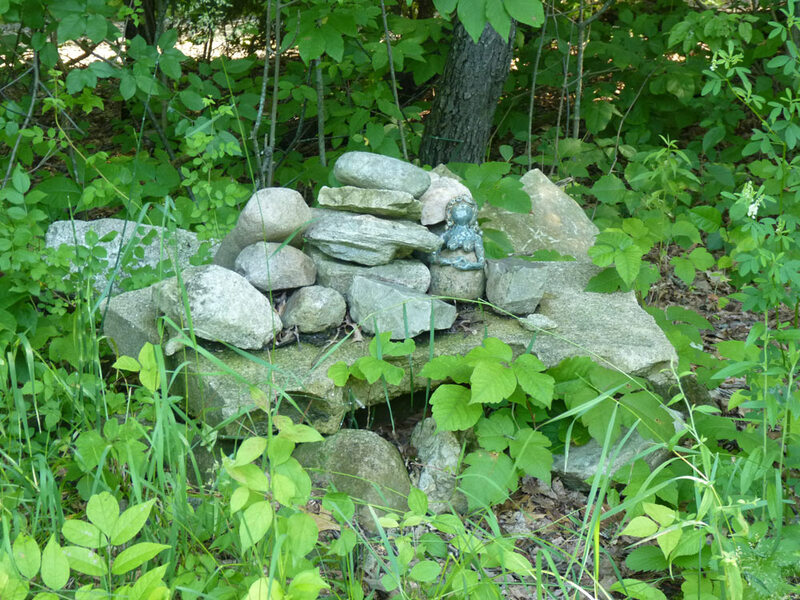 I have been using pine needles as a wonderful mulch on my newly planted blueberry bushes. If you have a lawn mower, you can also mulch your leaves directly onto your lawn. Apparently they make mowers just for mulching, but I’ve never seen them so I can’t write more on that process. This is my first year using leaf composting, so I’ll report how things went in the spring!